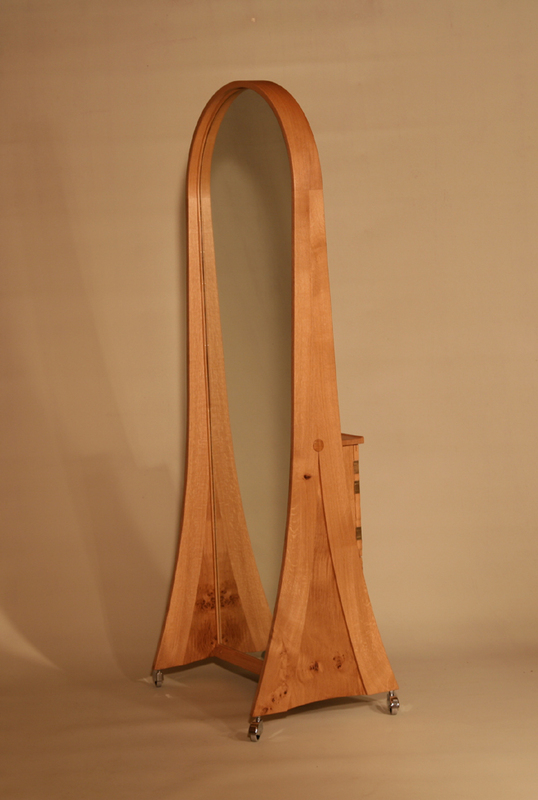 From this side, a very elegant steam bent free-standing full length mirror. From the other, a dressing mirror with compartments for everything. See next picture.